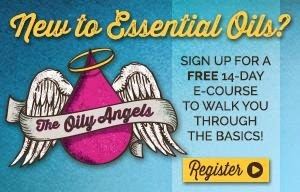 I am beyond excited about essential oils (duh) and I have collected quite a few of them in my years of natural living. When you start one oil at a time a single big way to store the oils seems insane (it's not) so I've been using these smaller methods: 5 Essential Oil Storage Solutions. But then I had a moment. My brain exploded when I saw my friend's visual essential oil display. After all, I love essential oils so YES! I WANT ONE! I honestly tried to resist the desire to get this beauty (you probably will too), but then I finally caved when I rationalized that it is an artistic expression of myself. 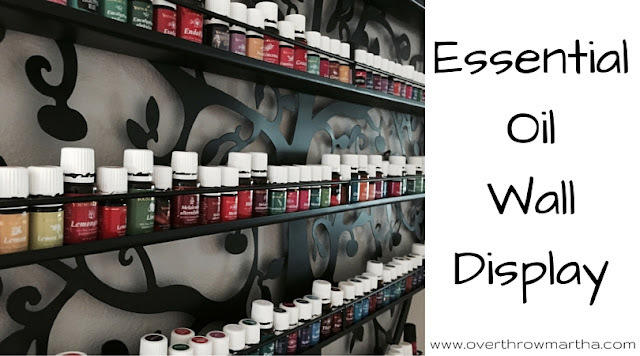 After all, essential oils are important to me so shouldn't they take center stage at my home? Obviously, it's amazing. This essential oil storage display has been exactly what I needed! I keep looking at it and smiling which makes Clint laugh at me... in pure adoration, I am sure. I have had a few people come over since I got it and everyone compliments it, and enjoys sniffing the oils and asking questions-- even if they aren't oily yet! I am thrilled to be able to share my love for natural living more easily using this display as a conversation starter! 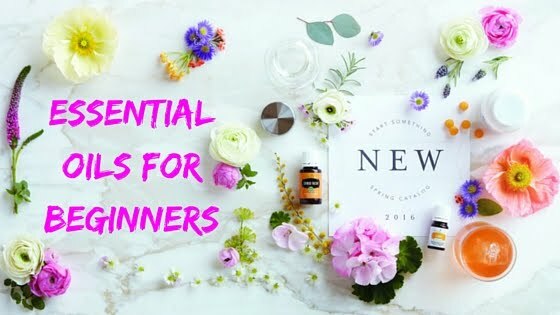 I also love that it has a nature theme and it goes perfectly with the idea of essential oils! Puuur-fect. Where Is This Available At? Lucky for you they are on Amazon. There are two options for sizes so there is really something for everyone! I got the larger one which is a 6-Tier Wall Art Display Rack . It holds approximately 200 essential oils or you can mix and match with various other supplies. Each shelf is pretty wide so it is possible to actually add a second row of 5 ml essential oils behind the first row of essential oils if you are completely oily obsessed (like me). If you are worried that the 6 tier wall display will be too big, then check out the 5 Tier Wall Art Display . Not only is it smaller, but the price tag is significantly reduced as well! And consider storing other items like small books, smaller diffusers (USB, Travel), diffuser supplies, DIY bottles or carrier oils on the rack as well. I honestly wish I got this from the start because I think being creative with what you display allows you to grow into the display rack rather than spending money on multiple little storage solutions which made me unsure of where anything actually was located. To give you a different idea on how this can work let me tell you about how my friends and I organized this display. 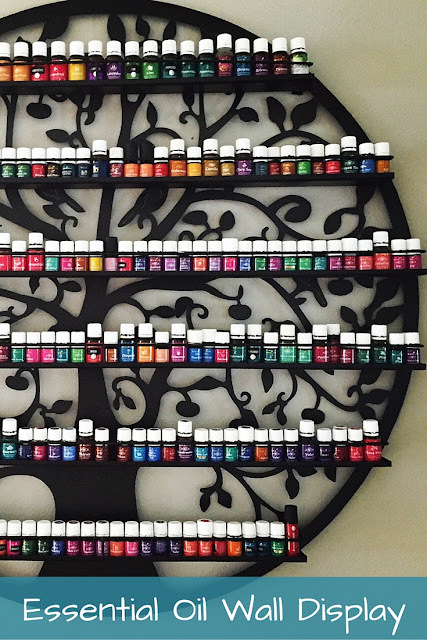 I put all of my essential oils in line alphabetically, but a few of my friends, Robin and Jennifer, also have this display and they organize theirs a little differently. 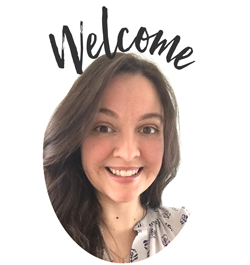 Robin has also added many other items to really show off the entire idea of DIYing while Jennifer organizes her essential oils by collections or types (aka emotional oils, pet oils). But there is no wrong way! Be creative and I'm sure it will look amazing! If you are a bit mechanically challenged, then you should know that this is also very easy to set up and it is very light weight, but also durable. I had no trouble picking it up with one hand and holding it in place while I marked the location on the wall for the screws and anchors. It was very easy for even a very non-mechanical person like me! 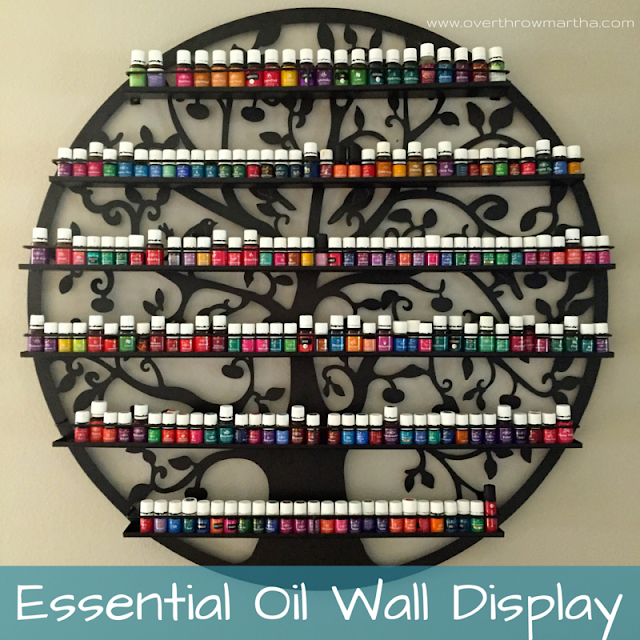 I am seriously just so thrilled about this essential oil display! 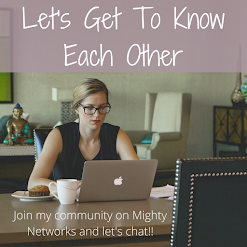 It received such a positive reception both in my Facebook Group and by my own friends and family that I had to share it with you guys! I hope you like it, too! This is awesome! I can't wait until we buy a house so I can have an area (not a small part of one cupboard) devoted to oils. Such a neat idea! Thanks for sharing!